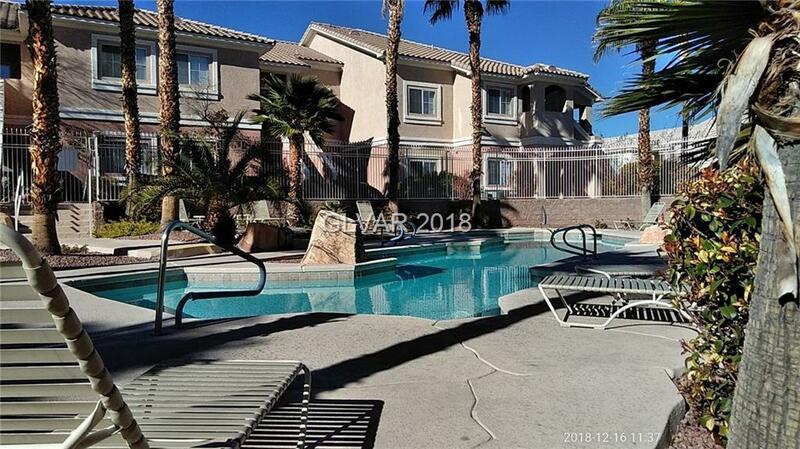 Beautiful 2nd Story Unit In Summerlin!Open Sprawling Floor Plan W/Vaulted Ceilings & Great Views From Balcony!Great Kitchen W/White Cabinets,Solid Surface Counters,Tile & Spacious Dining Area!Large Master W/LG Walk In Closet.Master Bath W/Shower/Tub Combo & Double Sinks.Large 2nd Bedroom! Gated Community W/Pool.Unit Includes All Appliances. Stylish Two Tone Paint, Celing Fans & Blinds Through Out!You Do Not Want To Miss This Gem!See For Yourself!